If you haven’t seen the February issue of Coastal Living, I suggest picking up a copy ASAP. 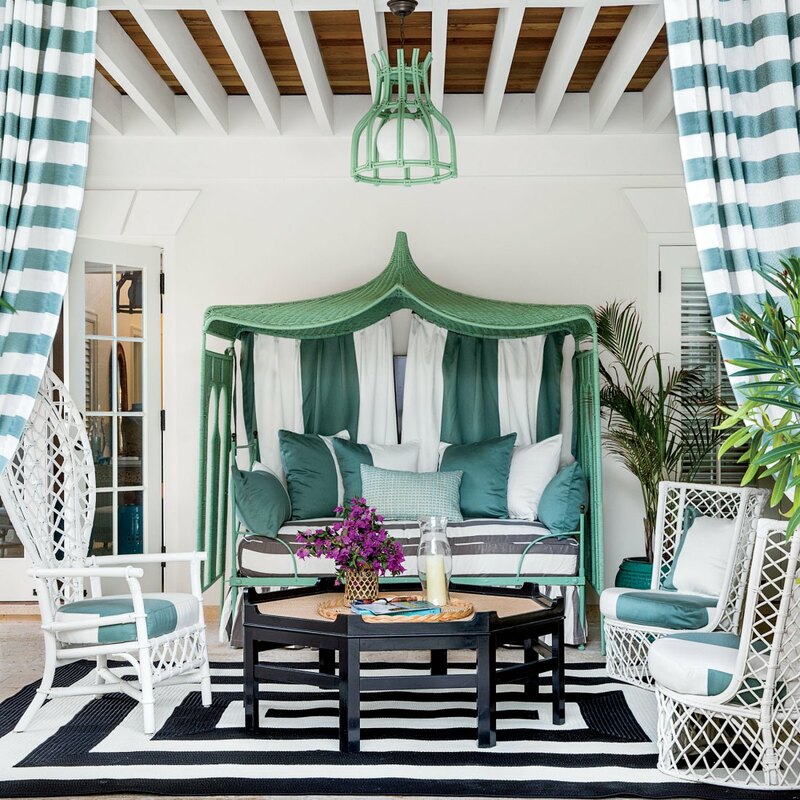 It features this amazing Harbour Island retreat designed by Florida-born, Nassau-based Amanda Lindroth. 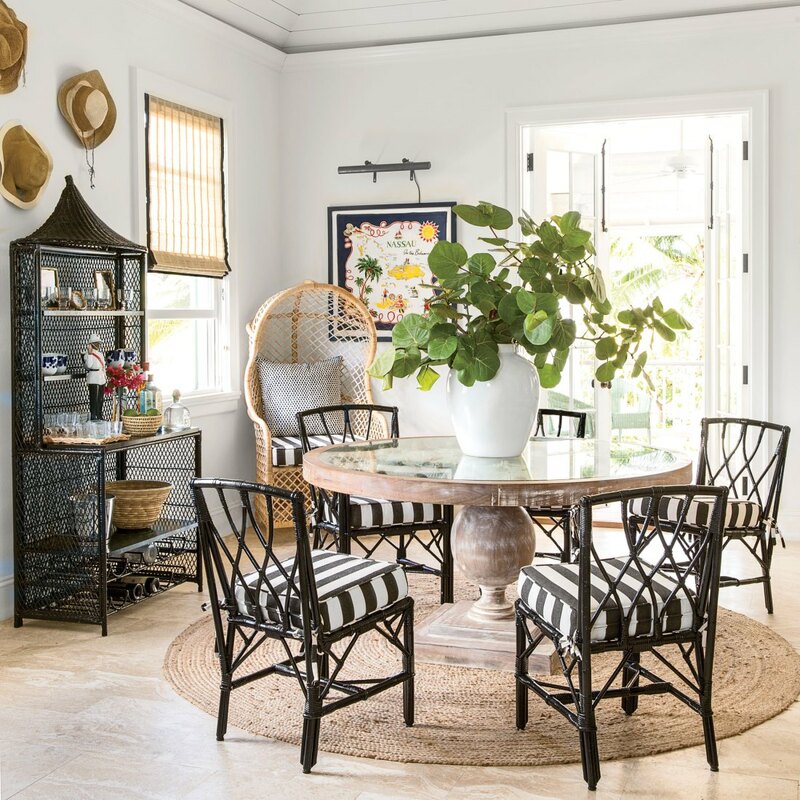 Amanda also offers her tips on how to recreate island style in your own home. This is one to keep on file! Lesson: R&R is important, so make room for it. Dust off your front porches, back porches, patios, balconies, give them their due decoration, and use them as an escape. Don’t have an outdoor area? 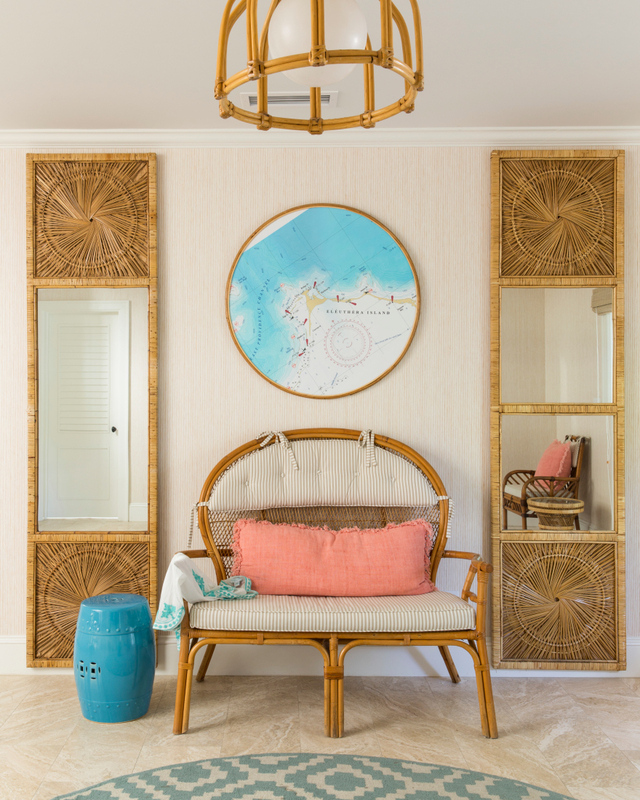 Outfit a room in your house with artwork similar to Slim Aarons or Gray Malin, travel posters, or just abstracts that add a sense of serenity. Lesson: Don’t be afraid of using black furniture in a beach house. All those light-as-a-feather beachy elements could use a little balance. And what’s an easier upgrade than painting vintage furniture? 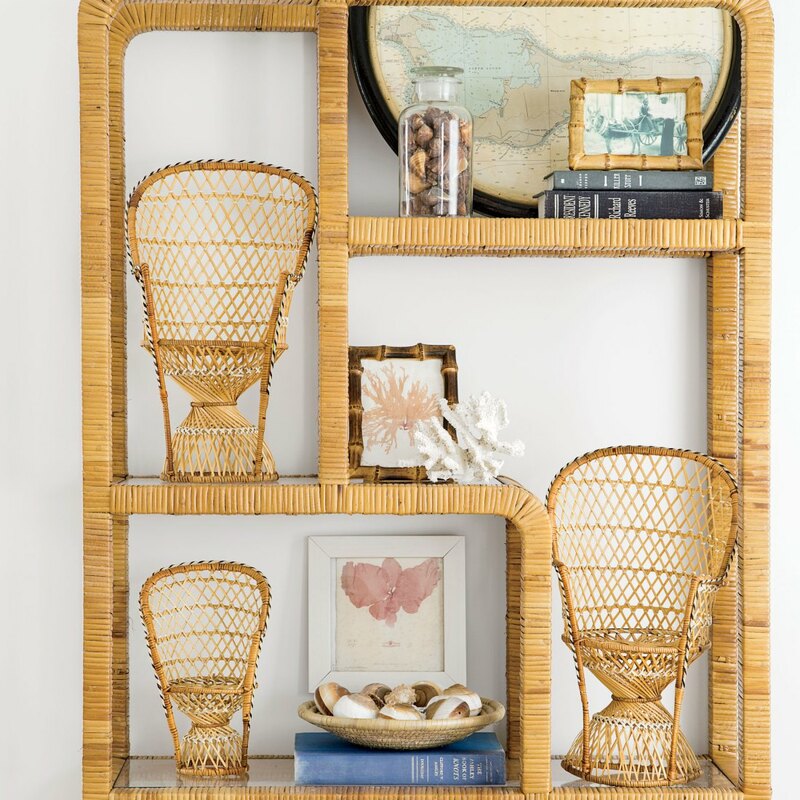 Lesson: You can never have too much bamboo and rattan. You will always find a place for timeless pieces. Lesson: Island gems hide in unexpected places. Amanda got these sweet little rattan peacock chairs at a discount superstore. Cleared the whole shelf! Cheap, easy, cute. 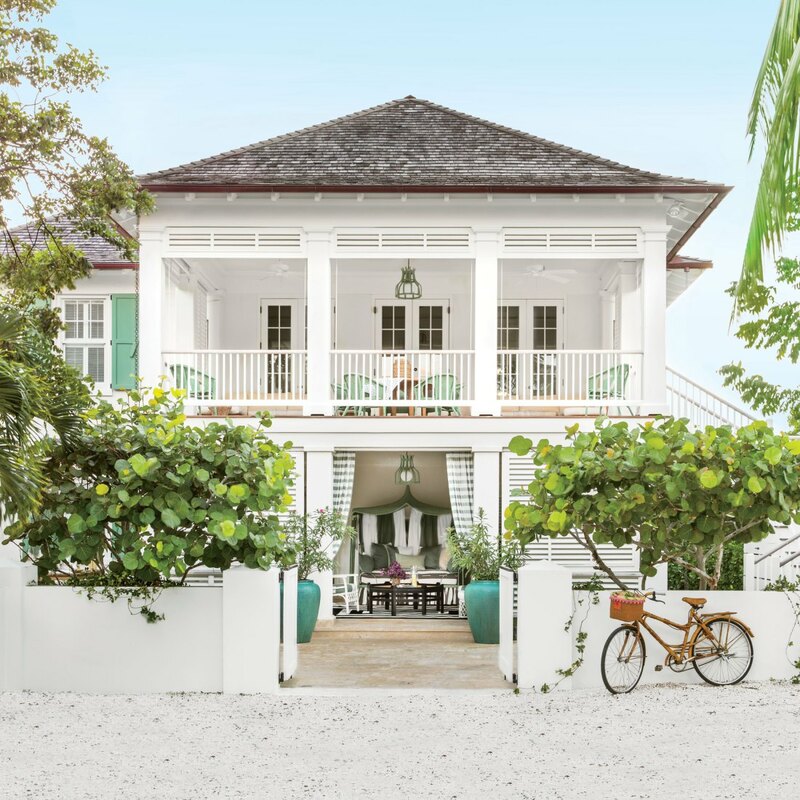 This retreat, known as the “Lily Pad,” is an upscale rental when the owners aren’t there, so next time you hop on down to Harbour island you can stay there yourself! Please visit Coastal Living for additional information, and make sure to pick up the February issue, as it includes many additional images and tips not published online. You can learn more about Amanda Lindroth, who has offices in Nassau and Palm Beach, here. 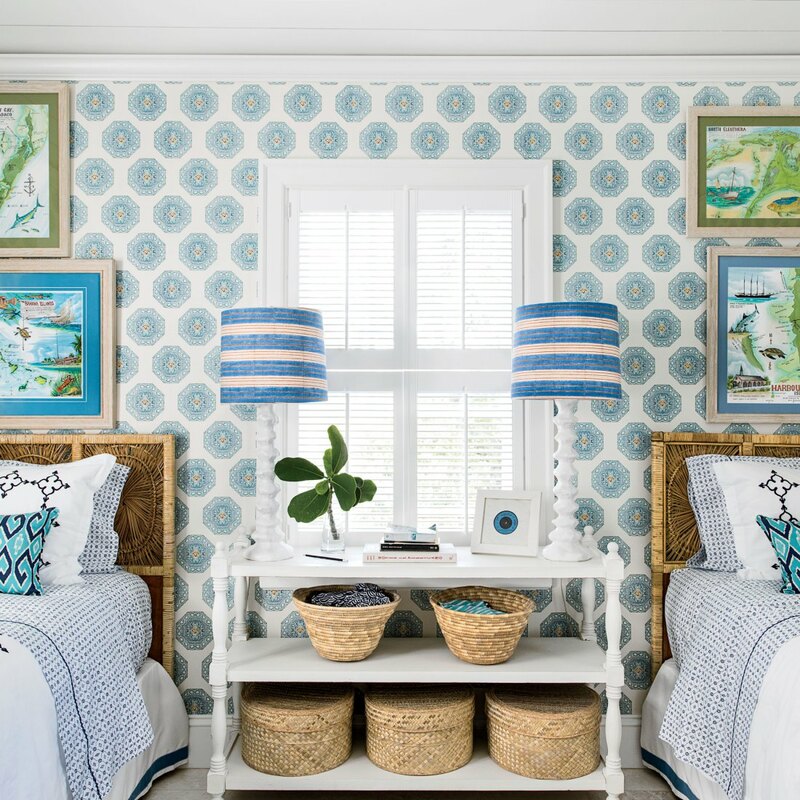 Design by Amanda Lindroth; photos by Lisa Romerein; styling by Liz Strong. Thank GOODNESS you can never have too much bamboo, because I have been collecting it like a madwoman lately! Thanks for this great post!